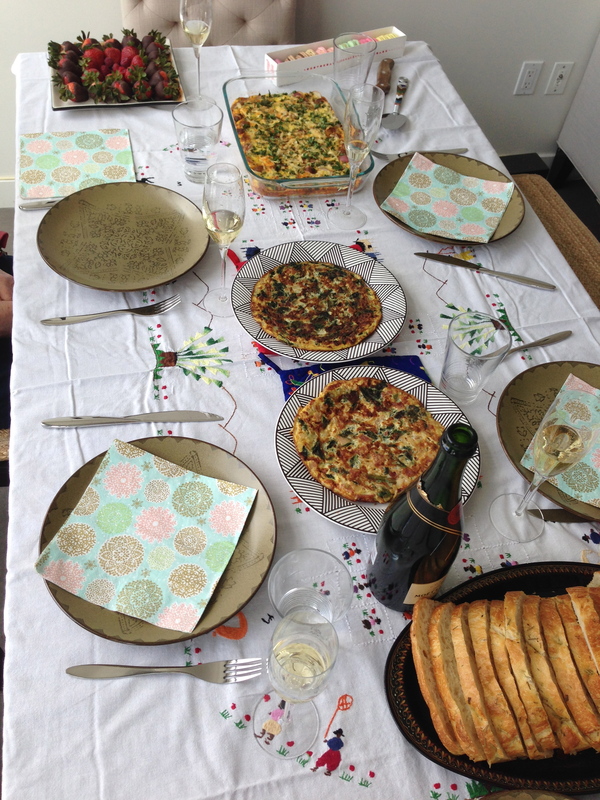 The theme for our third wine club get together was Champagne (or aka sparkling wine)! And what goes great with champagne? Brunch, of course! We had three different champagnes to try and a lot of egg dishes to go with them. 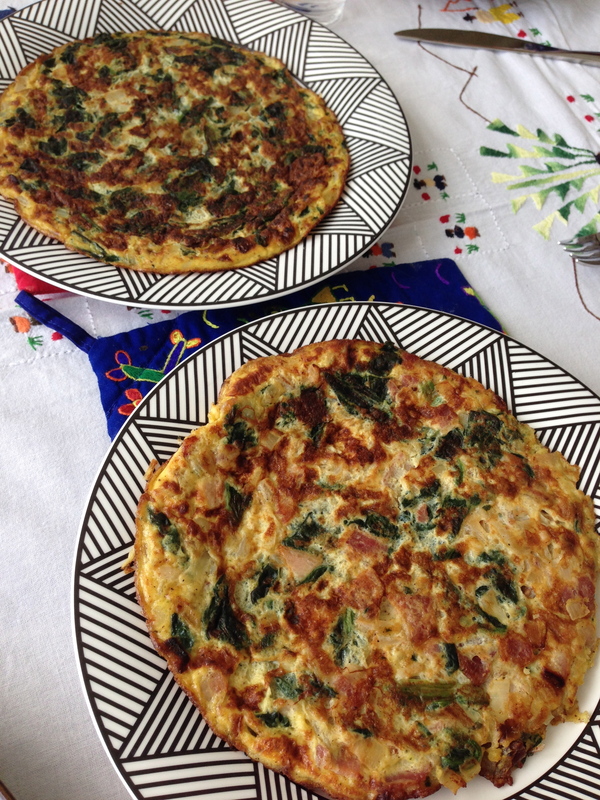 This time, I was to bring a food dish and I thought a frittata would be perfect. Basically, a frittata is very similar to an omelette except there’s no flipping involved which is great for me since I’m horrible at flipping omelettes. For this brunch, I decided to use chorizo, red potatoes, asparagus, combination of fontina and manchego cheeses and parsley. The flavours turned out really well and I think adding manchego made the difference, I normally just use fontina – but I love how manchego gave it a bit of sharpness this time around. In terms of the champagne, all three were good but I have to say that the Cathedral Cellar from South Africa was a surprise. I expect the Moet & Chandon and Mumm Napa to be good but with Cathedral Cellar at half the cost, it was delicious! Definitely worth buying a bottle at your next celebration. Sunday brunch with members of the Wine Club. 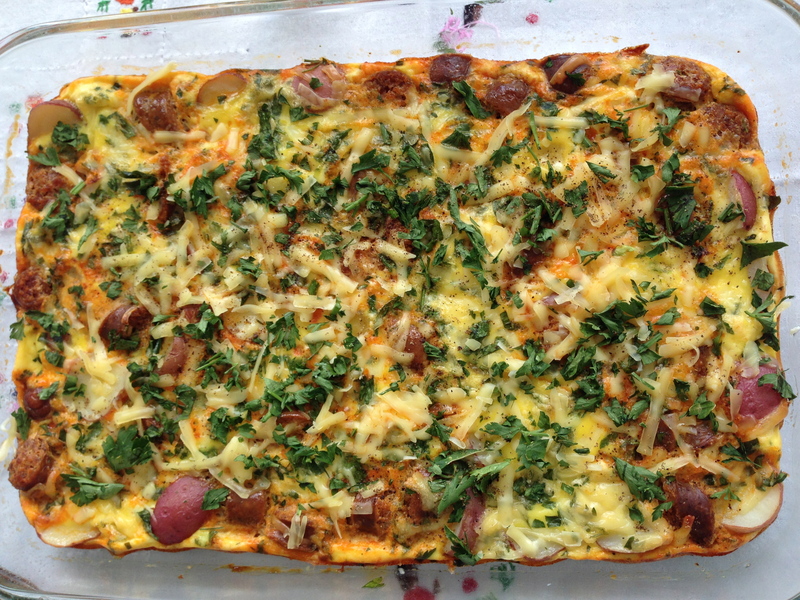 My frittata – chorizo, red potatoes, asparagus, fontina, manchego and parsley. 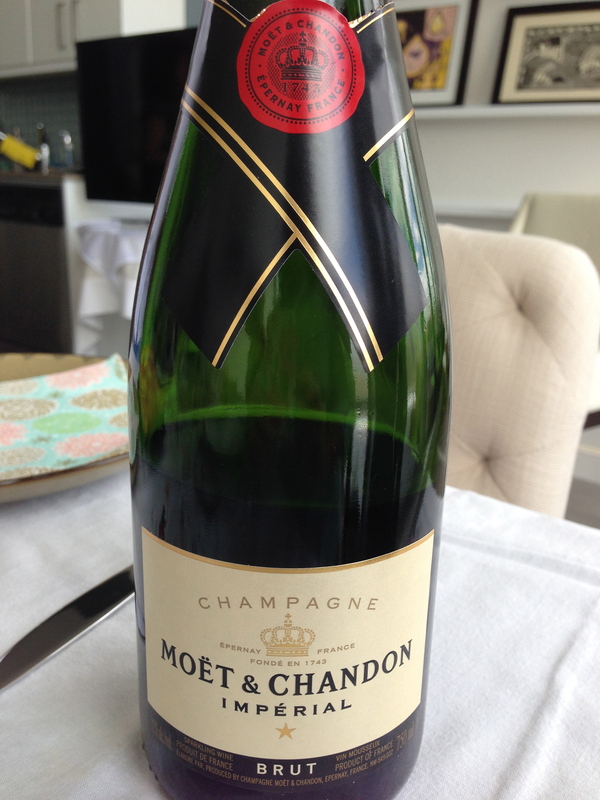 Champagne #1 – Moet & Chandon. 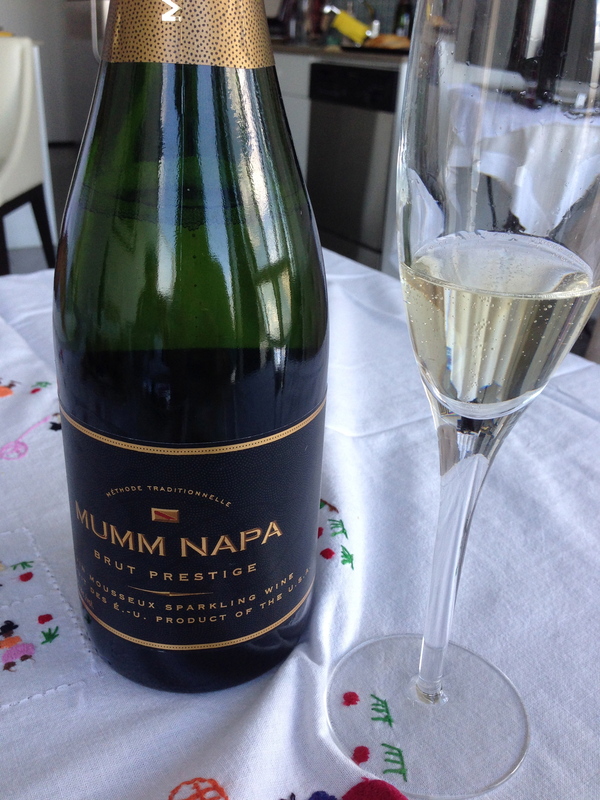 Champagne #2 – the Mumm Napa. 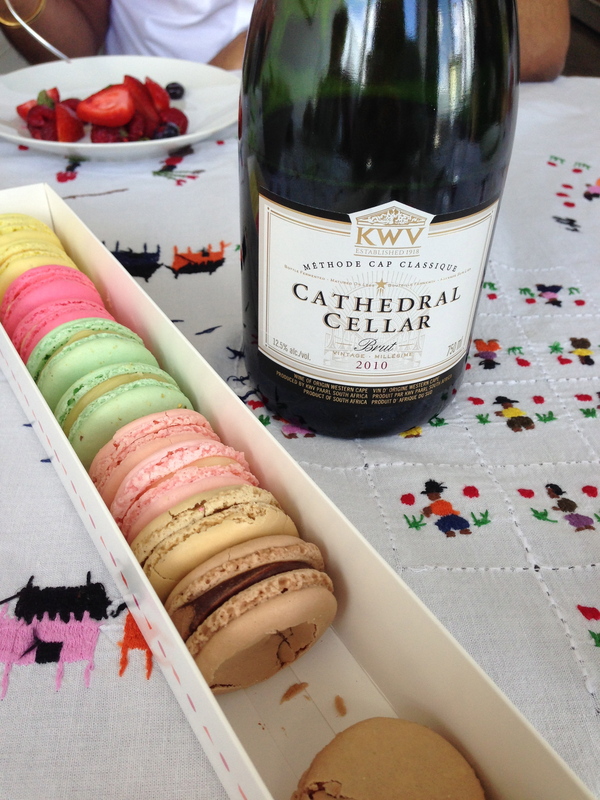 Champagne #3 – South Africa’s Cathedral Cellar and macarons from Laduree. 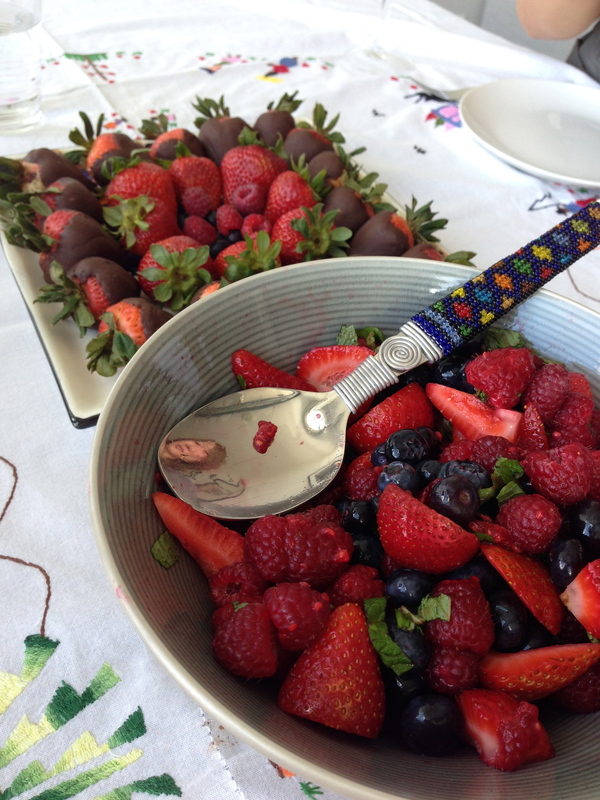 Along with the macarons, homemade chocolate covered strawberries and a fresh fruit salad.